Divergent by Veronica Roth. Published April 25, 2011 by Katherine Tegen Books. CDN $11.99 Kindle edition. OMG..what can I say? I am absolutely enthralled with this book! I was hesitant to get into it at first. I had heard that it was a lot like Hunger Games (Which I loved) but I didn’t want to read a knock off of a great book. HOLY COW was I blown away. It was similar to Hunger Games but so totally unique. I can’t get over the world building in this book. The attention to detail is amazing. I was not a big fan of Dystopian books, but I sure am now. I love a story with a lot of action and this one delivers with a Capitol A. OMG it is non-stop. I don’t want to give too much away but it doesn’t disappoint in the action from training that is NUTS to say the least, government secrets, heart stopping dare devilness (is that a word? ), bad guys and good guys turned bad, and everything else action…this story has it. I loved it so much; I have already downloaded the next book and am deeply engrossed into it! 5 amazing stars for me. This is in my top 5 favorites for sure. 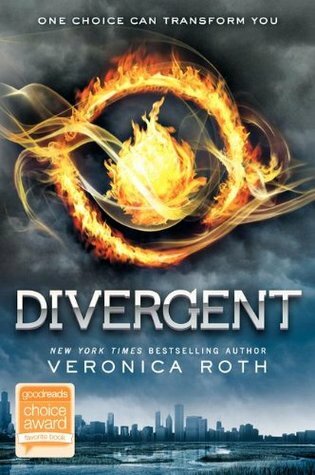 This entry was posted in Reviews and tagged Cynthia Stacey, Divergent, Veronica Roth. Bookmark the permalink. I actually read this prior to the Hunger Games and like you I was enthralled; afterwards the HG books came as a bit of a disappoint as I didn’t really connect as well with the main character. 😦 I still have to read Allegiant but I keep putting it off because I don’t quite want the series to end yet, lol. That sound good! 🙂 I shall have to check them out, thanks. They are really good so far. I am half way through Insurgent and love love love it! thanks for stopping by. Fab review. Divergent is amazing!